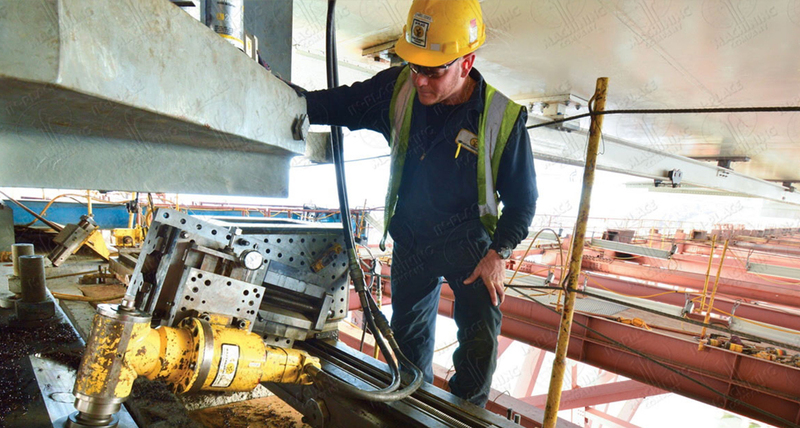 When you work with Cutting Edge Services, you can count on complete project management from initial engineering, planning and technical support of your cutting job to turnkey cutting, drilling, rigging and removal. Specialized recycling of water and slurry waste is included in projects with environmental sensitivity. We also sell equipment and technical services to support projects around the globe. Additionally, you can expect a high priority on safety. Our team follows a written safety program that includes regular training, safety toolbox meetings and random testing for substance abuse. This practice has yielded an outstanding safety record and extremely low EMR rates. Your inquiries are always welcome. We look forward to planning and conducting your next heavy concrete cutting, metal cutting or specialty drilling project. In-Place Machining Company, LLC (“IPM”), a globally-recognized service company focused on providing highly technical, precision on-site machining and measurement services to customers in the power generation, metal production, infrastructure, marine and defense industries, announced that it has acquired Cutting Edge Services Corporation (“CES”). Proudly awarded for pre-planning, use of innovation, degree of difficulty and quality requirements.